The NAU ICO is aimed at launching a new platform that will connect retailers and consumers in a truly unique way that has never been done before. The primary goal in mind is to eliminate the need for intermediaries, useless expenses, and wasted efforts that severely hinder the ability of retailers to attract new clients and promote their business efficiently. While providing platform users with the opportunity to actually earn money while doing business with retailers via offer sharing, referrals, activity, and app usage. For years, retailers have had to pay exorbitant fees to attract new clients. Be it by means of expensive television advertisements, radio announcements, coupon aggregators, digital marketing, and service providers. 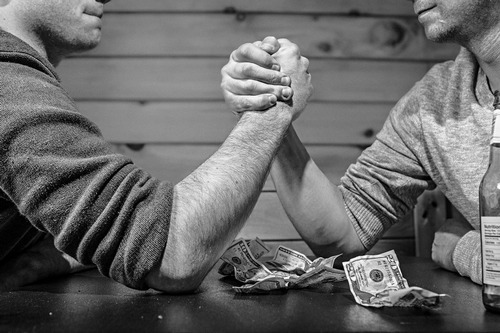 While some of today’s strategies focused on attracting new clients do indeed work, they are just not providing the most optimal and profitable results. Additionally, consumers are becoming tired and frustrated from being endlessly bombarded with lackluster offers, spam emails, phone calls, and pestering advertisements. It’s becoming much more difficult to truly find a great deal or a retailer that rewards regular clients through appealing ways. However, thanks to the NAU platform, all of this is about to change. The NAU platform operates by a mobile application and website. Advertisers and retailers will be able to launch their promotions, offers, and deals through the platform’s application using NAU tokens. Users will be able to discover appealing offers on a geolocation and filtered basis and easily claim them. 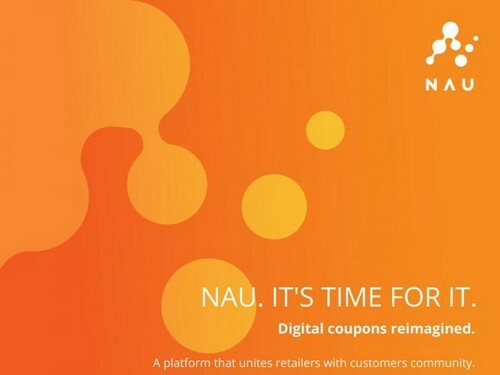 Additionally, users will be rewarded for referring their friends and followers to the NAU platform and retailers with discounts, promotions, gifts, and awesome rewards. Essentially, the team behind NAU is creating an ecosystem from which both, retailers and consumers, can draw maximum benefits without having to shuffle through annoying ads, scalp coupon websites, and really go out of their way to find attractive deals and new clients. Imagine being materially rewarded for sharing great deals with your friends and referring them to retailers via the NAU platform, that is quite unique. NAU is going to truly revitalize retail marketing and consumer empowerment by taking the effectiveness of the SoLoMo marketing approach to the next level. The NAU platform and mobile application, as well as all of its functionality, will be powered exclusively by NAU tokens. However, the platform does not support regular ERC20 tokens. This is why the team behind NAU is releasing tokens that will be known as eNAU, which will then be exchanged on the platform for native NAU tokens, at a rate of 1:1 once the official beta is released. NAU tokens will be required to take advantage of everything that the platform has to offer. The limited supply and heavy marketing will provide these utility tokens with constant value growth. The NAU platform will release a maximum of 1 billion tokens during their crowd sale. The public pre-ICO starts on the 1st of November with 50 million tokens available at a price of $0.04 per token and a 35% purchase bonus. The ICO will start on the 10th of November and go on until the 17th of December with 300 million tokens hard cap, prices will go from $0.04 to $0.6 depending on the stage at which tokens are acquired by investors. Additionally, 20 million tokens will be provided to investors with a 6 month lock up period. 10 million will go to advertisers for promotional purposes. 10 million will be directed to the user promotional fund, and 5 million will go to the bounty campaign. As a progress incentive, 24% of the overall tokens sold will be sealed up in a smart contract with 1% of this amount becoming available each month after 7 months have passed since the token sale.